Rainbow Dash has a gift. A gift that goes back generations. But now, when her best friend’s heart is ripped out, the only way Rainbow can help her, is to end over a thousand years of secrecy, and reveal everything to her closest friends. With Rainbow Hair is a My Little Pony: Friendship is Magic FanFiction that pays tribute to Through Violet Eyes by Stephen Woodworth. 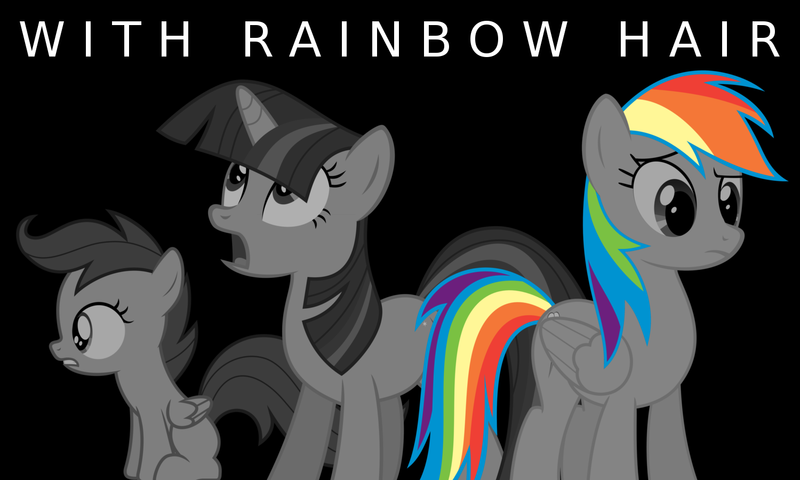 Image compiled from the following sources: Scootaloo, Twilight, Rainbow Dash and Sans font.